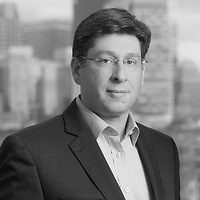 Ian Roffman, a member of the firm’s Securities Enforcement and Litigation practice group and a former senior trial counsel for the enforcement division of the Securities and Exchange Commission, was quoted in “Bar warns of expanded securities enforcement” in Massachusetts Lawyers Weekly on November 8. The article discusses whether state and federal regulators are likely to increase their scrutiny of placement agents here in Massachusetts or focus on the expected influx of new fraud complaints generated by the Dodd-Frank whistleblower provision. Ian said while it is true the SEC certainly wants to uncover the next big Ponzi scheme, he disputes the idea that the agency is not all that interested in pursuing “pay to play” activities or catching finders who skirt regulations. “This is the kind of thing the Mass. Securities Division or the SEC would investigate if there’s illegal conduct going on,” he said.